The rollercoaster ride that is the value of Bitcoin served a solid spectator sport for some time, but it is not this cryptocurrency, per say, that is why it remains in the spotlight. The underlying technology, blockchain is ear marked for stardom in a number of industries for a number of reasons. From retail, advertising and ecommerce, to financial services, the case can be made the distributed ledger will command a prominent position in the future of financial transactions. Let’s use one of the world’s largest banking institutions as an example: Bank of America. Back in December, Seeking Alpha reported the Charlotte-based banking is more than a touch curious about the up-and-coming technology. According to the U.S. Patent and Trademark Office records, the lion share of blockchain patents are from IT firms, Bank of America falls in the top 10 of assignees – The only explanation for this an effort to remain ahead of the competition. Not a month later, New York-based law firm, EnvisionIP released a study highlighting Bank of America’s minimum of 43 blockchain related patents. This tops all technology companies and major banks. 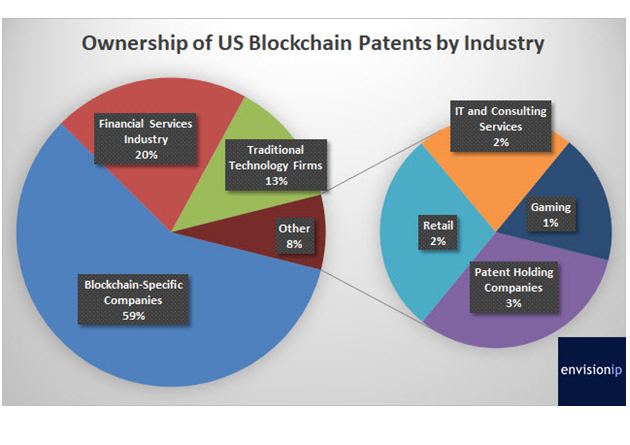 When you view the chart below, financial firms carved out a nice niche at 20 percent of U.S. blockchain patents. Dell and Mastercard fall second on the overall list with 27 blockchain patents each, still several steps behind the clear market leader. Today, the Bank of America pantry of patents apparently grew by one, with reports citing a new application for a means of cerating a single transaction ledger to replace exsiting data sharing systems with a blockchain. According to the application, personal and business data would be recorded and authenticated promising only authorized parties gain access, and the deployment would maintain a record of those who access the data. Implementing blockchain enhances efficiency with a more streamlined storage process, reducing the number of storage locations and creating a single secure network for behemouth of a banking insitution. Blockchain is building momentum. Bank of America offers a snapshot into the importance of this disruptive technology. The emergence of blockchain will be fast, so either hop on board or get out the way. 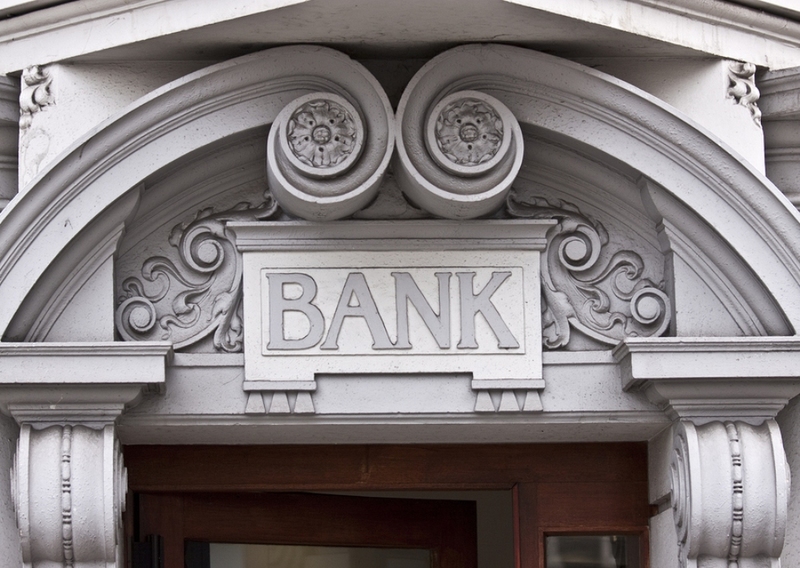 Bank of America isn’t waiting – neither should you!